Welcome to the motherland of Street Art. The largest, global, art movement ever. THE STREET IΣ OUR GALLERY and we bring it to you. This is an international website designed to inform and support street art from all over the world. The website contains a huge database of artist galleries, interviews, upcoming festivals and exhibitions while publishing fresh articles on a regular base. 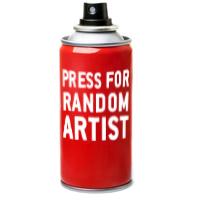 Our linked social media offer constant up to date news from international street art scene. As most content is sourced directly from the artists, this established community helps street art lovers and artists follow up on new styles and finding endless inspiration in this continuously evolving form of art. ISSA is an independent and open sourced platform that is run by a small team of street art enthusiasts located in several countries who are driven by their common passion. Follow us and enjoy the art skills of those that interact with the urban environment. Through art, public walls have become expression canvases for hundreds of artists in cities with millions of by passers viewing them. Walls with messages, colours, designs, drawings are constantly taking over the art scene. Art is no longer only in Galleries and behind closed doors. Street Art is on the rise, in every city and every neighborhood. #THE STREET IΣ OUR GALLERY. ‘’I Support Street Art’’ initially started of as Facebook Page in 2010, specialising in supporting the fine talents of global street art. After growing rapidly and with public demanding an official presence, we have created this website, to offer better updates on a wider scale without Private social media restrictions. Street Art expression has its dignity and style, let us all support it. The streets are becoming canvases offering colour and art to our everyday life! Share what inspires you and tell us your thoughts. Comment and share with your fellow art lovers! Our Logo: Inspired and designed by Polish Street Artist: Aqualoopa. The ISSA Pigeon, an urban bird that symbolises peace and adaptability in the urban environment. Very often, these birds silently observe and are the company for artists as they work! Ligone, Mark Goss, AC 3 Monitor, Blouh, JULYi, and all the passionate team members who are dedicated, just because they are as nuts as the administrator. Also a big salute to artists who inspired us and gave their support, such as WD, JPS, Theosone, Argyris Ser, Zabou, OakOak, FPLO, iNo, Simon Silaidis, Bacon, Blek Le Rat, Mapet, Eime, Aft, Jimmy C, Carne, MAS, Pegasus, AlessioB, TelmoMiel, Dourone, Eddie Colla, Stinkfish, Shai Dahan, The Stencil-Revolution and so many more. International Media have also been giving a hand. Here are a few: Gazeta Do Povo (Brasil) , Sic Noticias (Portugal), Aragon Tv (Spain), Villesenvie (France). The shared enthusiasm has been the drive in creating this community, with no borders, no discrimination and an open mind towards arts and inspiration. Im a spanish/french Street Art fan, who loves to take lots of pictures of street art in Paris and other places i visit. Sometimes, I like to "participate" as well, leaving my stickers, stencils and some " naive Mr Sponge" characters in the streets of Europe, or taking pictures of my tiny characters. I am inspired by artists like Slinkachu and others. My name is Tomás, Portuguese guy living in Budapest, passionate about street art and huge fan of Sport Lisboa e Benfica. Fresh member of this great team and loving it every second. I love all kind of art, of course street art is the main passion, travelling around Europe to know more about the works and the artists that make our streets more interesting. My passion started in Lisbon, my hometown, and more recently with the Banksy Dismaland (which I had the opportunity to get in contact with amazing artists).